Lying on the farthest northern border of the sphere of Taco Culture, Austin holds its tacos in high esteem. Dai Due Taqueria seeks to honor the richness and diversity of our local products, and explore how to wrap them in tortillas. 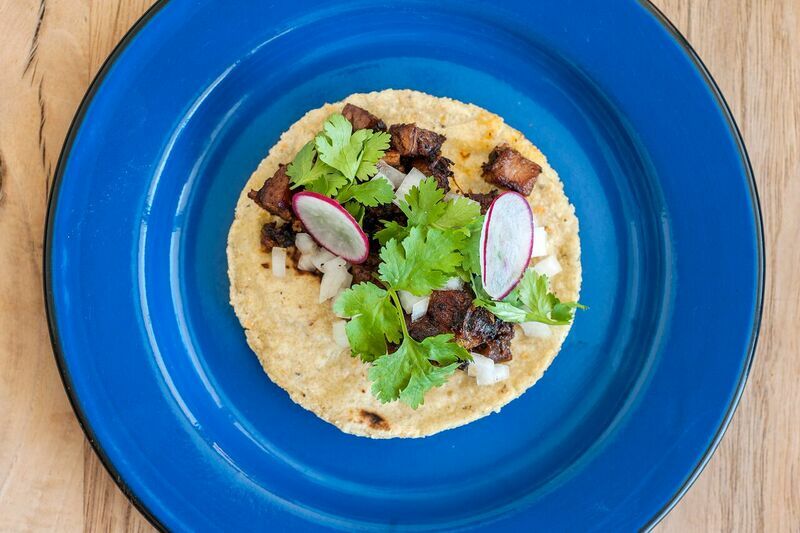 Located within Fareground, Austin's first food hall, Dai Due Taqueria offers freshly made food along with an all-star lineup of neighbors such as Contigo, Ni-Kome, Henbit, Antonelli's Cheese Shop and Easy Tiger. A full bar on site offers beer, wine and cocktails. Choose from a gorgeous indoor dining area or park-like outdoor space under the oak trees to enjoy your meal, or grab something to go. Or, join us at our sister restaurant, Dai Due, on Austin's east side. Tacos start with tortillas. We use locally-grown heritage varieties of dried corn, which is then nixtamalized in post oak ash from our grills. The nixtamal is then ground daily into masa dough to produce a fresh, simple and nutritious corn tortilla. Our flour is sourced from area farms and milled locally before being mixed with our traditional house-rendered lard for tortillas and house baked telera rolls. Wild game, namely the destructive and ubiquitous feral hog, along with Hill Country venison, provide the foundation for our tacos. The sustainability and availability of these lean, rich, and wild meats, make them an excellent example of our regional food culture. In addition to wild game, our menu will reflect some of the finest pastured animals from local farms such as ducks, turkeys and quail. Seafood from the Gulf and rivers of central Texas also find a spot on our menu. Equally as important, our menu showcases the vibrant vegetables, fruits, herbs and cheeses produced around Austin. 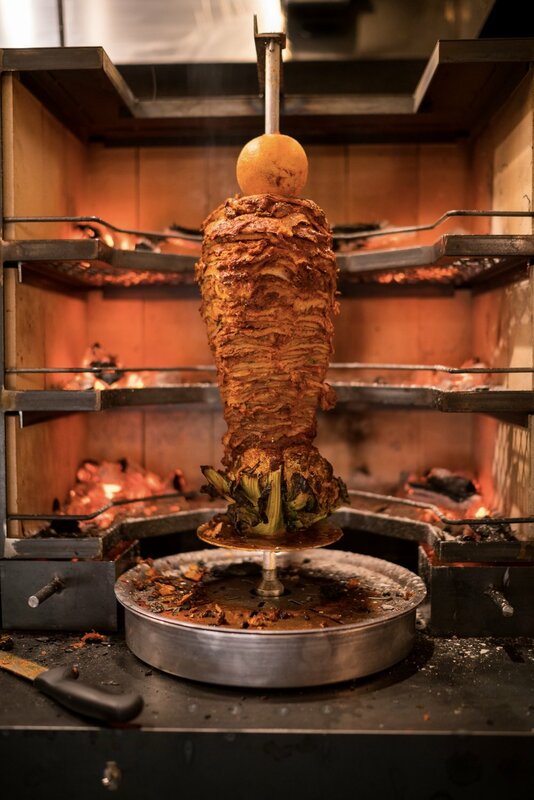 With such a focus on seasonality, the Taqueria is notable for the staples of Mexican cuisine that won’t always be available. Avocados, limes, tomatoes, fresh chilies, cilantro and onions are viewed as seasonal gifts to be excited about as they appear only at certain times of year. Given our more northern growing region, other vegetables and herbs will find new roles in our tacos resulting in a more representative central Texan taco. Also available at the Taqueria are paletas and refreshing agua frescas made with in-season fruits, vegetables and herbs. Our signature café de olla and Gulf Coast rice horchata is available daily. Gift Cards are now available, perfect for any occasion! Copyright © 2014-2017 Dai Due Taqueria. Illustrations by Annie Taylor. Graphic design by Little Mule Studio. Images by Laura Hajar and Tim Clancy.